Cowboy boot for men in black cow leather from our label MBoo.. Cowboy boot for men in matte taupe cowhide leather from our ..
Men's boot in cognac brown cowhide leather with crocodile pr.. 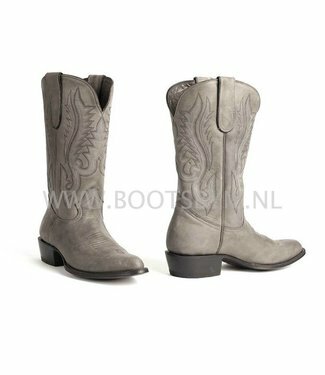 Handmade western boot made of cow and ostrich leather, from .. Cowboy boot for men made of cowhide leather from Mexico. The..